We can assign integer, float numbers or digits easily by just putting assignment operator between variable name and required numbers or digits. But if we want to assign character there has little difference as below. We are allowed only one character within single quote to assign. If you try to assign more than one character with this method it will show garbage results with warnings. To check this you can run the following program from your compiler. What is the method to assign multiple characters to variable? There has a method to assign multiple characters to variable with Array. Array is a fixed size derived data type that contains the element of same data type. This array declaration means, numbers is the name of array that contains only integer data type numbers and the maximum 6 numbers can contain as element of array. N.B. Size must be integer type. This is called array declaration and assignment. blog is the name of array and the rules of naming array is similar as variable. Number between  is the length indication of number of characters to assign. The above statement declares that COMPROMATH will be assigned to a variable called blog. There has additional '\0' character at the last of this series of characters. It is called null character. This null character declares the end of assigning characters to array. Now run the following program. Do you think the method of assigning multiple characters together to a variable is quite difficult and bored? But remember the number of size will be greater than number of characters to assign and put double quotation within String (sequence of characters). 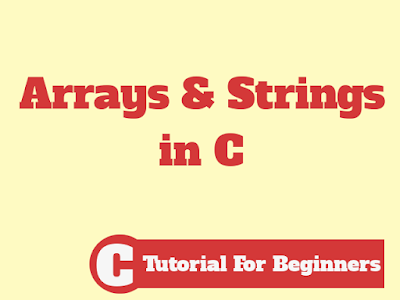 Question: What is String in C? Ans: String in C is the sequence of characters. String may be a word or sentence with whitespace. Example: Hello, Hello World etc. Before discussing about array types we should to know how array works, how the element of array are stored in memory and what is the addressed of memory for array and its element. We know when we declare a variable in program, computer offers specific space for this variable. We can call this as the location of variable in memory and it has unique address. Appending an ampersand (&) before the variable name define the address of variable. If we execute the above statement it will return as 100979797. It is the address of variable. Remember, address of variable depends on system. So address of variable in one computer may be different from the address of same variable with same data type. And addresses of different variables in one system can't be same. One dimensional Array in C is a list of item with one subscript. Initialization of One Dimensional Array: The initialization of one dimensional array can be in two ways at compile time and run time. 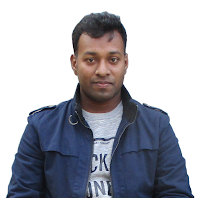 Initialization at Run Time: Sometime it is required to input data in array from user to implement calculation and result and it can also do it by initializing at run time. If we want to work with data of table with array then we can do it with two or multidimensional array. The basic concept of two dimensional and multidimensional array is same, we will see about two dimensional array. Suppose, here is a list. And we want to work with the red marked table. Look there has 4 rows and 3 columns. Here has 2 size. The first one defines the number of row and second defines the number of column. How can do initialization of two dimensional array? Similarly we can initial at compile time and run time. We can do it in nested For Loop. If we separate the initialization of two dimensional at run time, then it will look as. The outer loop increment works for rows and inner loop increment works for columns.